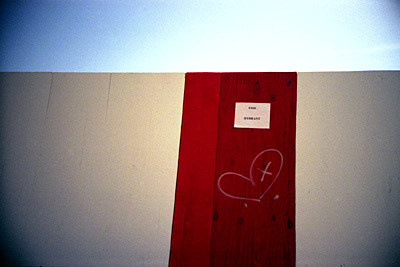 PHOTOMO » broken heart or playful heart? broken heart or playful heart? I would go for playful. Lovely colors! only slightly dented, i hope: broken hearts are sad…..
I’m not quite sure if the vignetting helps but I like the simplicity in this shot. Cheers. ur all worng! it’s a double band aid! pss, amatures. nice simplicity… with lines and colors, gj!